Breitling in recent years have begun to shift their offerings to entice a new, slightly younger audience. 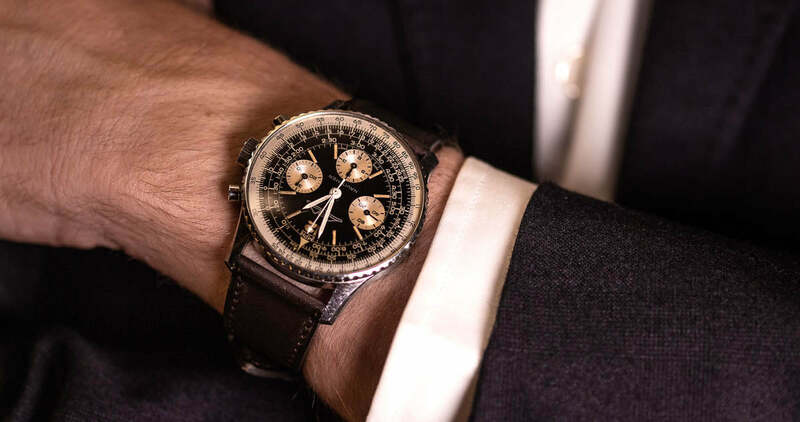 We saw the start of this in 2018 with the new Navitimer and at the end '18 in the rebirth of the Premier line and name. Fast forward to Baselworld 2019, and this mindset has continued to evolve and is translated through a lot more models. 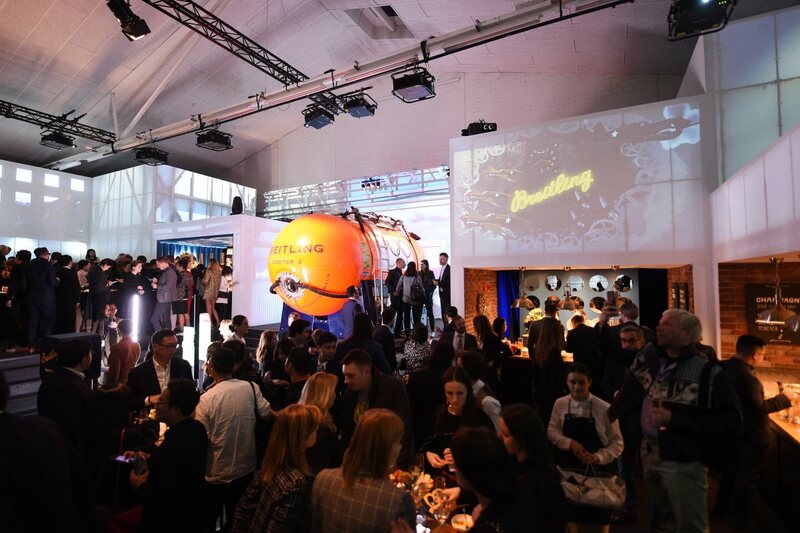 Breitling's stand at Baselworld now dominates the centre of Hall 1 with the drop out of Swatch Group, making the presence of Breitling felt a lot more. Breitling even had their own restaurant at the show. It's fair to say you couldn't ignore them. 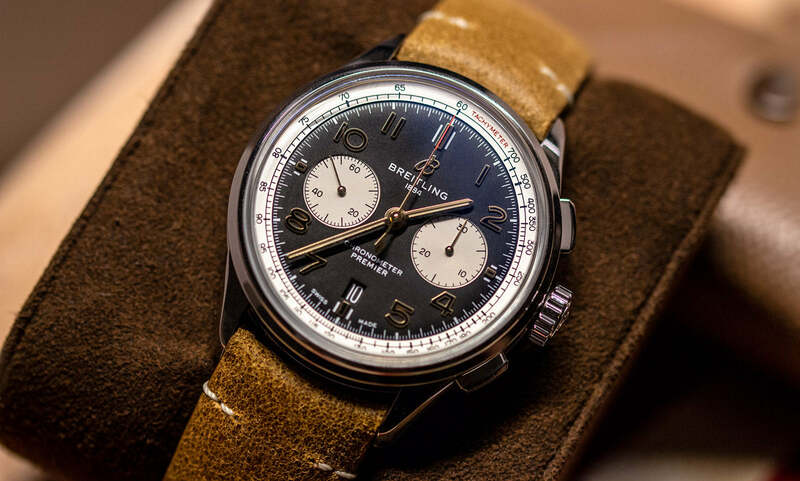 When we sat down for our Breitling meeting I was excited to see a couple of releases I already knew about, whereas some were all brand new to me. You've probably already read about this release on the Online Magazine but we still think it's worth saying something about. 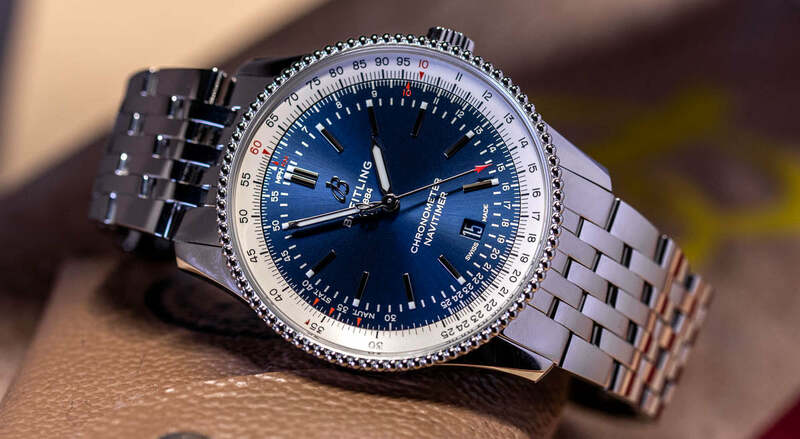 This was one of the first releases announced at Baselworld this year for Breitling, and it's fair to say they started strong. The Breitling Navitimer Ref 806 1959 re-edition is one of the most faithful, accurate re-issues we have seen from a brand in a good few years so much so when comparing the new 806 to the original our brand representative was wearing for the meeting, it was almost impossible to tell the difference. Find out more details and our full thoughts on this release here! Sticking with the Navitimer and the new 41mm model. 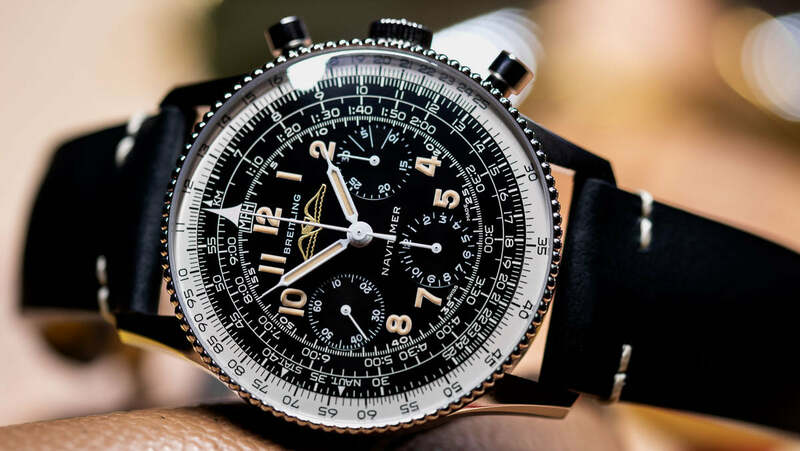 This watch builds on the new Navitimer we saw released last year at Baselworld. These were 38mm and time only models. And for 2019? They're now 41mm. In person, these new additions are all very Breitling. Last year I found the 38mm, although appealing in the smaller size they did feel a little more feminine. However now in 41mm and especially on the bracelet, it feels very masculine indeed. The watch is only 10mm thick as well, meaning its a great daily option for someone who wants to capture the Navitimer charm in a very wearable way. Continuing the natural theme of the Navitimer we have these three limited edition models. Each model comes in Breitling's 43mm case, however, they make the most of bright, vibrate colours to represent different airways. Swissair, TWA and PAN AM have all been represented with these watches, with sapphire display caseback etched with each logo. Although large in size, these models are bold, unique and make a real statement. The PAN AM model with its blue dial is probably the most out there edition whereas the Swissair and TWA favour more traditional dial colours with red additions throughout. Next, we have the new SuperOcean. This is a real staple in the Breitling line up. Over the years the Superocean collection has graced many a Breitling dial, however now we see an updated dial for the watch. The latest evolution of the SuperOcean now sticks with 6,9 and 12 on the dial with a date window sitting in the 3'clock position. The range now expands to 36mm, 42mm, 44mm and 46mm with a massive amount of straps and dial options. 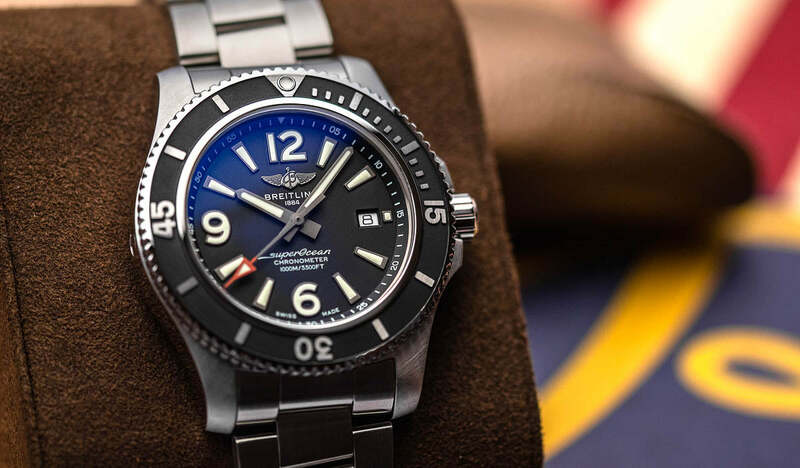 Breitling has some real history with this range, so it's great to see them really invest in the superocean name and try to appeal to a wide of an audience as possible. 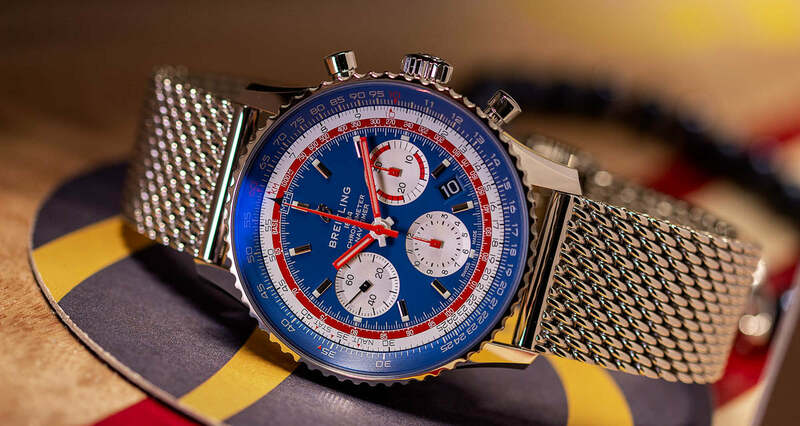 Much like the Breitling Navitimer 806 release, we have gone into full detail on this new Baselworld 2019 release here, but I'll go over the basics. Breitling has worked closely with Norton Motorcycles to release a special edition of the Premier based on a 77 limited edition vintage-inspired British motorcycle. 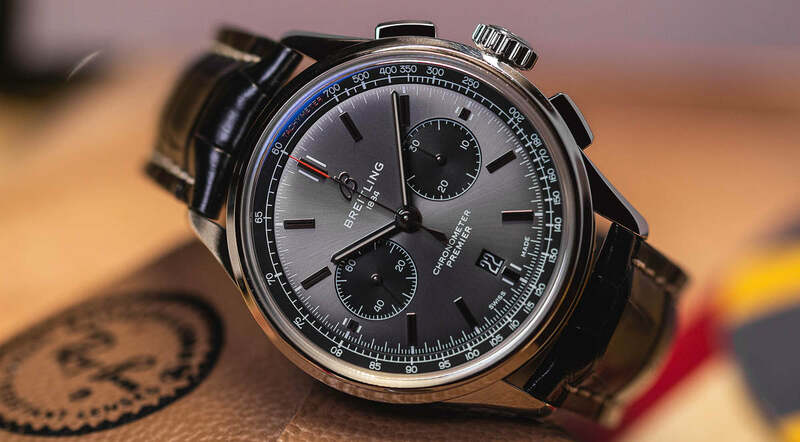 You can learn more about the Breitling Premier Chronograph 42 Norton Edition here! The Premier range from Breitling also saw a brand new colour added. Here we now get a great looking sunburst grey addition, making this already sporty line up even more so. This is probably one of my favourite additions this year from Breitling. 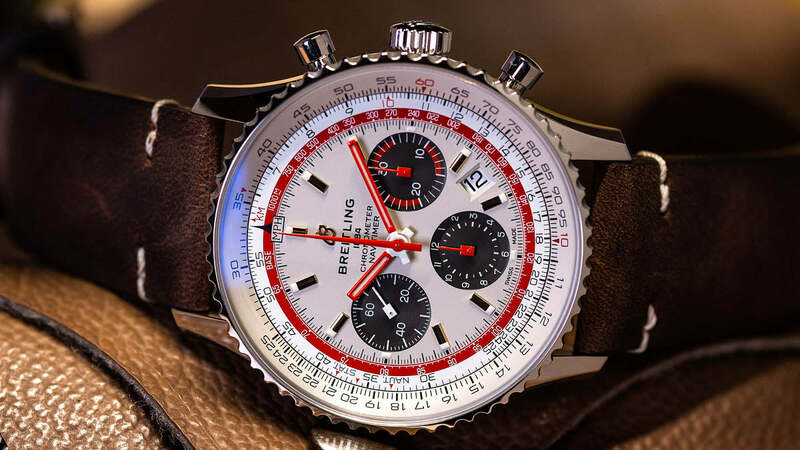 Finally, we have a look at the new Breitling Premier Bentley watch. 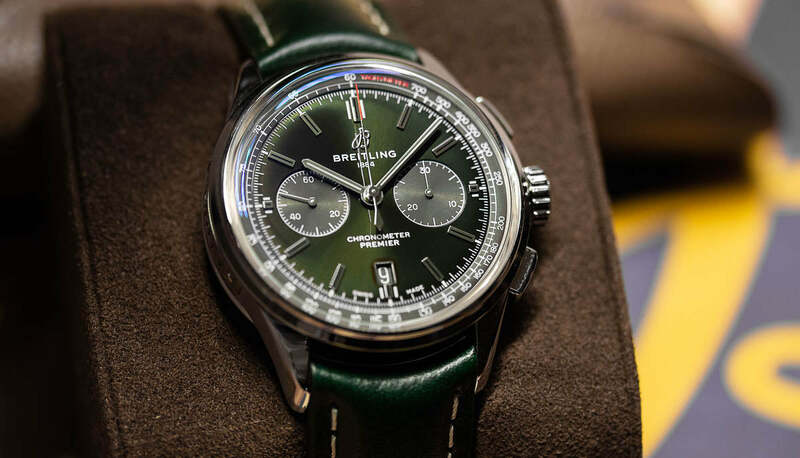 This is the sunburst green dial we looked at last year when covering the Breitling Summit in London. There is a brand new burl elm wood dial option as well which unfortunately we didn't see, however, you can't argue with the green dials aesthetic. Breitling to say goodbye to Baselworld? Georges Kern (The CEO Of Breitling) has started to focus on their own Breitling Summit show in the past 12 months. Much like last year, I also heard rumours that 2019 is Breitling's last Baselworld. The main conclusion that can be drawn from this rumour is that no one really knows what will happen. If Breitling, Patek Philippe, Rolex, Tag Heuer or Tudor decide 2019 is their last year, it would have a huge impact on the show let alone the industry. For now, though, I think Breitling are moving in the right direction for the brand. The foundations were laid last year, this is the beginning of a new direction for Breitling. 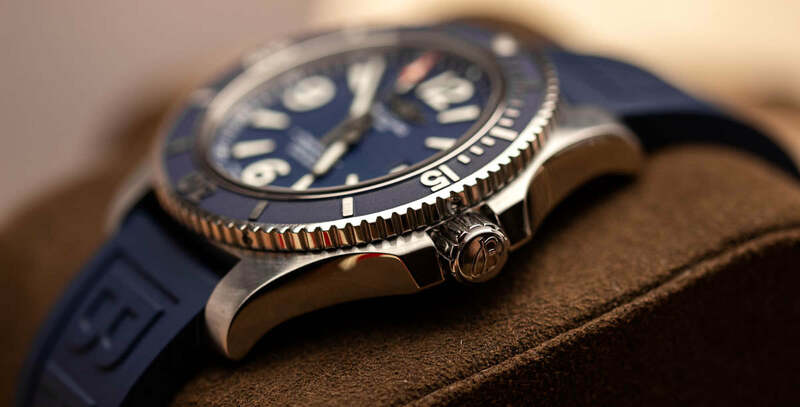 To find out more about the Breitling releases click here!